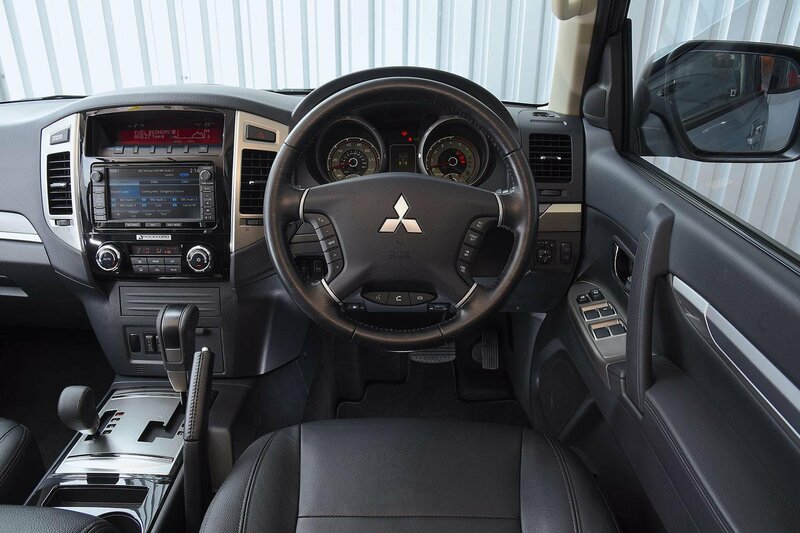 Mitsubishi Shogun Interior, Sat Nav, Dashboard | What Car? 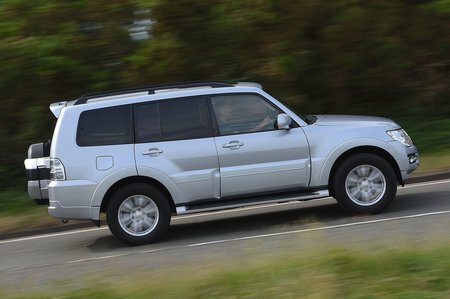 Sit behind the wheel of the Shogun and you’re transported back to the early 2000s. Although there’s plenty of soft-touch plastic on the tops of the doors and dashboard, you don’t have to look much lower to find hard, unattractive materials and cheap-looking switches. All but the entry-level SG2 models get electric leather seats as standard that have a decent range of adjustment, but the steering wheel doesn’t move enough to suit taller drivers. Whatever you do, you’ll feel like you’re towering over almost every other road user. We also find the seats to be rather flat and unsupportive, leaving you clinging onto the steering wheel in bends. It may be a large SUV, but you can see the end of the bonnet easily because the windows and door mirrors are massive. The big spare tyre on the back would no doubt make parking tricky, but thankfully all but SG2 models get rear parking sensors and a reversing camera. 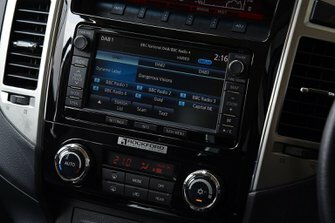 Entry-level models get infotainment taken care of by a basic AM/FM radio with Bluetooth connectivity and a CD player. Moving up to SG3 and above brings a 7.0in touchscreen with a DAB radio, sat-nav and a premium hi-fi with 12 speakers and a subwoofer. While that might sound good, the system is fiddly to use, with poor graphics and small icons.